On Wednesday, May 30, MCC hosted a career fair at its main campus in downtown Chicago. Approximately 70 students and graduates attended to meet with the 14 healthcare employers. 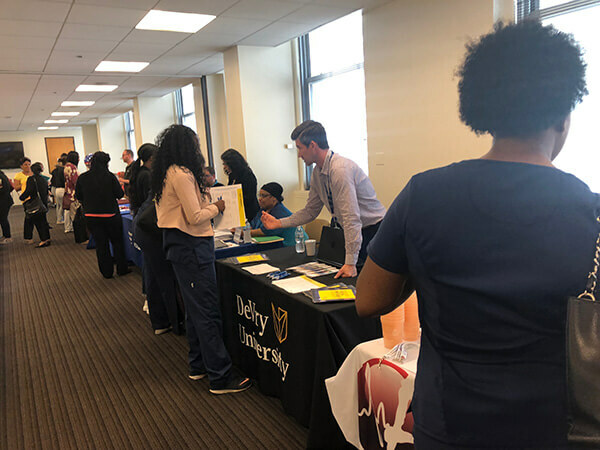 Designed to assist students and graduates in finding employment in healthcare, the event was held at MCC’s main campus at 20 North Wacker Drive, 6th floor. MCC staff members were also available to review resumes and help students set up LinkedIn profiles.